For most of us, the secret to get more traffic on our sites, is organic search — all that free traffic coming from search engines. 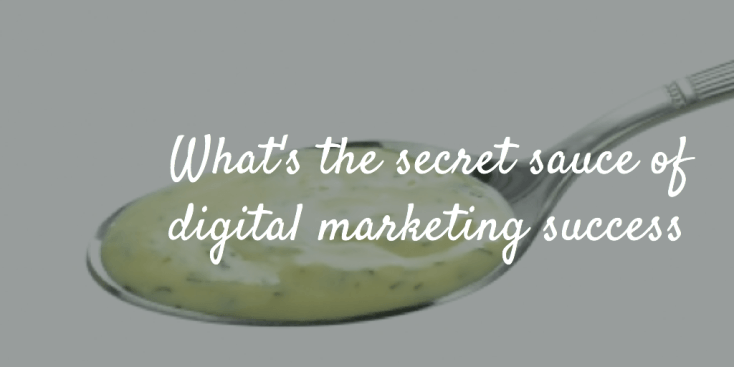 So, it’s a big deal when Google, which accounts for about 70 percent of search changes. Last week, the Google algorithm — that all-important ranking factor bringing organic traffic to your site — changed, yet again. This week’s wrinkle is mobile. It’s not like we didn’t see this coming. Google and every knowledgeable digital guru out there has been preaching mobile for, literally, years. But, last week, Google threw the switch and websites that weren’t responsive (responding to the users’ screen size) got slammed. You can read more about how to get more traffic with this new algorithm here. This week, I’ll highlight other advice for how to get more traffic from some great bloggers. BTW, this posts will save lots of time, since Googling “get more traffic” leads you to lots of spammy landing pages where snake oil salesmen try to sell you their training, coaching, SAAS, or convince you to hire their sorry a*#es. Speaking of mobile, Politico had a great article this week showing the power of mobile to bring more traffic. According to results from a study by Pew, 4/5 of news sites get more traffic from mobile than desktop devices. Since blogs are informational, my guess is most content-rich websites also get more traffic from mobile (I know I get most of my traffic from desktops, based on Google Analytics). Reader engagement is still significantly stronger on desktops. If you’re a WordPress users, here’s a list of 17 really helpful plugins from Blogging Wizard. While not all these plugins will help you get more traffic, they’ll all make your life easier. Make it easy for your readers to share your content. Grow your email list and generate leads with these plugins. Make SEO easy with these plugins. Test, monitor, and increase conversions. One more super helpful plugin. I use a number of plugins that made the list and I highly recommend reading his post for advice on specific plugins (many are free) to help get more traffic to your site. Growmap published a great article this week on the importance of images to build traffic through sharing. She provides great resources for folks looking for quality, free, LEGAL images for your website and social media posts. While on the topic of images, here’s a post I put up recently to guide readers on crafting their own images without hiring a graphic designer. I agree, stunning visuals get more traffic to your content. I talk a lot about on-page SEO, but off-page SEO is at least as important. This week I found a good resource showing how to get more traffic using off-page SEO. Here’s a good post from Digital Philippines. I found this post listing a number of guides published to help drive more traffic to your website. They produce guides on Guest Posting, SEO, PPC Advertising (basically Google AdWords), social media advertising (like Facebook Promoted Posts and Twitters Sponsored Tweets), and email marketing. The guides are good, hands-on training and are free. Whether you’ve got a shiny new site, or a site that’s been around a few years the chances are you’ve been wondering how you can get more people to visit your website. Of course, there are plenty of easy ways to attract clicks from people who couldn’t care less about your business. What can be harder is encouraging visits from web users who will actually be interested in buying your products and services. That’s why we’ve put together a series of guides focused on how to attract visitors who are likely to buy from you. These guides all assume you’re completely new to the field in question, so don’t worry if you haven’t heard of these particular techniques before – we’ll help you get to grips with the basics before introducing more advanced techniques. Now, I’m the first to admit there is no such thing as a viral marketing campaign — viral just happens. That said, there are tools to help sharing that promote viral and strategies to get sharing going. Here’s a post from the Co-Schedule blog by SumoMe Chief Sumo, Noah Kagan. At the start of 2014, I decided to prioritize my email list and grow my blog from a small side project to one of the top marketing blogs. In less than a year, traffic grew by more than 400%! Today, I want to show you 10 actionable strategies you can use to grow your own blog’s traffic each time you publish a new post. Noah goes on to share 10 tips that increased visits to his blog by over 400% in 8 months — pretty impressive. I’m giving you a summary of each because I really believe in their ability to get more traffic to your site. I’ve nearly tripled traffic using these tips. I got involved in two key communities for marketers: GrowthHackers and Inbound.org. Before asking for anything from these communities, I did my best to spend time where my readers are, add value, comment in the forums, share articles and upvote other posts (not just OkDork posts). Arguably the biggest change that brought traffic to OkDork was reaching out to writers who had lots of marketing data that could be put into long form content. In May 2014, I put together a list of 15 to 20 friends, colleagues, fans that a) wanted to help me and b) were already enjoying the content on the blog. This “Inner Circle” or “Insiders List” reviewed upcoming posts and provided an early traffic boost to new posts — often by sharing it 24 to 48 hours before the post was sent out by email to my main list. In the past, when a new post was live on OkDork I occasionally shared it on a few sub-reddits or a community site like GrowthHackers. There was no system and in the busyness of running a blog, there were times when it wasn’t shared at all. I developed an “Inner Circle” (above). Created a checklist of the top aggregate sites that referred traffic in the past. As traffic grows on your site, one of the most obvious ways to help it along is to make it easy to share the content on multiple channels. If a visitor has to copy the link, create a new email, and then share it — you’ll only have a few people sharing the article. Again CoSchedule does an awesome job at this with its floating social icons on the left of each post and with an image sharing plugin [part of SumoMe] to make sharing images easier. 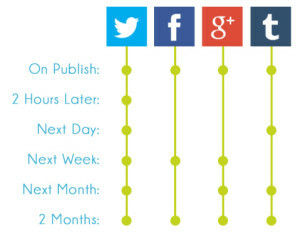 Then we scheduled each post to reshare it on Twitter, Facebook, Google+, LinkedIn, etc. over the next three months. The advantage of this is you don’t have to do much work (no creativity required). In my most popular posts (most shared and organic search), I added Click to Tweet quotes throughout. While this had a smaller impact on overall traffic than some of the other methods, it is a more organic way to ask someone to share the post. When you select the best quotes from an article you make it easier to read, share, and re-share. As you repromote old content, you’ll also see an uptick in the number of shares. By now the tactics are getting really easy…but this is an important one. One of the biggest contributors to traffic came through the email list, but we found a simple way to drive traffic and get a boost in click-through rates: making it easier and sexier to click-through. The other thing I did was create a calendar that we followed closely to make sure that new posts were going out every week and we didn’t fall behind. If you’re reading this on CoSchedule you already know that publishing regularly is critical to traffic. Not only does it help you be consistent, it creates a healthy expectation within your community and for your readers. Now, just getting more traffic to your site isn’t enough. It has to be the RIGHT traffic — potential customers also called prospects. If your visitors are missing any one of these things, they’re likely a waste. Getting the right traffic to your website is important. Crafting content that matches the customer journey is a big part of bringing the right traffic, then converting them once they get to our site. If you’d like to learn more about bringing customers to your site, check out my new interview recently published at NPR. Also, check out other great content from across the web to help get more traffic to your site.